We have direct access to the BT Wholesale Portal via our partners OFCOM registration and can provision and manage fibre broadband installations ourselves. We can therefore pass on significant cost savings to our clients, and manage the relationship without relying on additional 3rd parties. 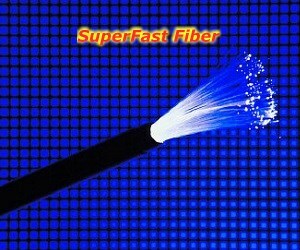 Download speeds of up 80 megabytes per second can be achieved via Fibre Broadband. Blakesley Show - first Saturday in August every year. Addington Manor Equestrian Centre - numerous events throughout the year - see http://www.addingtonmanor.co.uk/ for details of next event. "The Tooway satellite broadband system has been successfully relocated back to the UK and is working perfectly once again. I have been running the system alongside our existing provider, Sky. We never achieved download speeds above 4.8 mbps and virtually no upload capacity. (Neither BT or Sky will guarantee any upload speeds). Satellite broadband has changed the way we run our business. With upload speeds of up to 6mbps and over 20 mbps download, we can upload files to our server in no time. We also have the added bonus of being able to watch a movie immediately rather than waiting hours (sometimes days) for it to appear on our Sky box. I relocated the system to Austria for the winter. Stephens telephone support made the process seamless. 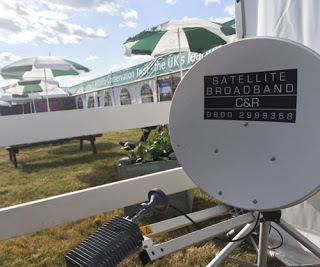 I have no hesitation in endorsing a Tooway Satellite Broadband system from C & R Technologies Ltd.
"We now have fast #broadband at the #farm! 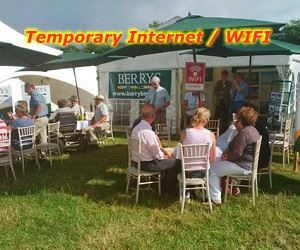 Thanks to C&R @RuralBroadband1"
"Thanks Stephen for the excellent advice, and the fast fix! My TV/Audio equipment are perfectly synced now, including my wi-fi. 2 years I have not been able to make the most out of the system, I have even called the manufacturers helpline and in the end gave up. Very knowledgeable, highly recommended!" Jules White, MD; The Last Hurdle. "Congratulations again on becoming a finalist in the Best Service Excellence category in this year’s East of England Business Champions 2016! Please find attached your finalist logo to this email, which can be used on your website, or social media to promote your success!" 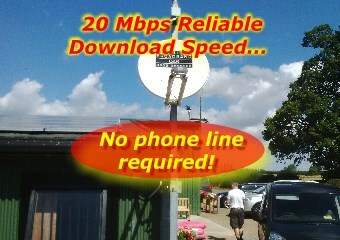 20 Mbps reliable download speed, without a phone line! 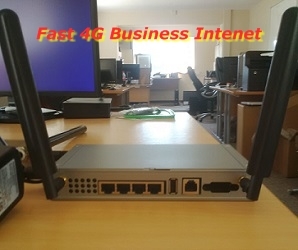 You need a good broadband connection for your incoming orders and customer emails. The monthly cost of satellite broadband is probably cheaper than your office windows cleaning bill! Your business can run with dirty windows but I doubt that it will run efficiently without a good WiFi broadband connection. 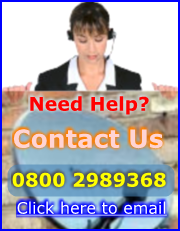 You come to query your land line broadband connection when you find it too slow or too unreliable. Broadband is not a luxury because your internet and your email connects you directly to your business profession or service. Loss of high speed broadband is simply loss of business. When your livelihood is at stake you have to think carefully and consider how you can maintain that constant 24/7 connectivity out onto the internet. Can I claim the cost of installing satellite broadband? Business is exactly that 'business' and your bandwidth of download + upload usage will be for business. The Inland Revenue treats broadband just like any other subscriber utility. If you should use a proportion for private use then you need to apportion the costs privately. If you purchase a block of download capacity for business, and do not consume more by your incidental private usage, then such private usage comes at a marginal cost of zero. If the private usage makes your broadband cost go into extra charges then this is apportioned to private costs. Simply put: you need to purchase the correct package size for your business broadband needs. Just like many broadband providers, if you exceed the monthly broadband bandwidth capacity then it is charged at a excess rate so it is important to determine your anticipated future needs. Have a look at the bandwidth and speed capabilities set out in our broadband packages. What about claiming the line rental cost? The Inland Revenue does not allow line costs to be claimed unless the phone line is 100% for business but there isn't any phone line or phone line rental costs! A) Staying with copper broadband lines? then I have no real choice if I stay with copper phone lines. will still use the same copper cable lines and the same equipment as supplied by BT. In fact, the ISP provider will likely be owned by BT because BT owns more than twenty different internet providers in the marketplace. I drink water out of my tap from a French supplier *** but it is the same water *** and so it's the same for copper broadband phone lines. 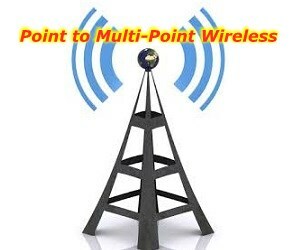 With a broadband via satellite connection you get exactly what you pay for. no poor connections in bad wet weather etc. Frankly, it's time to leave the copper broadband to the children and get a reliable business internet connection via a satellite dish. Broadband without a phone line presents a good option to secure remote business services. The security of supply to broadband is worth paying for. Your business cash flow will be damaged by any loss of internet connectivity. 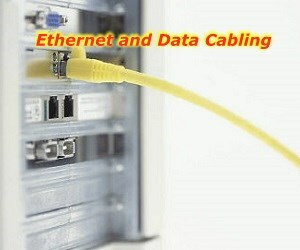 Broadband over satellite can provide primary essential services or it can act as a secondary backup. It can be a wise precaution to forward plan your backup internet connection. Even if you do not believe that the worst can happen (loss of broadband) it is equally prudent to take-up a starter package just as insurance against this eventuality.